1) The answers to the quiz should be sent to the email idannahariji@gmail.com within 26th of each month. 2) Every month the answers will be evaluated and marks shall be given as points. These points shall get cumulatively added each month. 3) The highest score winner of the year ( April to March) will be awarded 1st, 2nd and 3rd prizes. 1) Sri Krishna saved the children of 4 people. Who were they? 2) Krishna saved the children of Gokula from 2 asuras by his amruthakataksha ( merciful glances). Who were they? 3) Arjuna came to Dwaraka as Tridandi Sanyasi. Why did he not come as Ekadandi? 4) Who was Bahulaswan? Was he Balaramas friend? 5) Did Vasudeva and Devaki like Arjuna abducting Subhadra? 2) The asthtamahishis attained the Lord by theit tapas and vairagya. 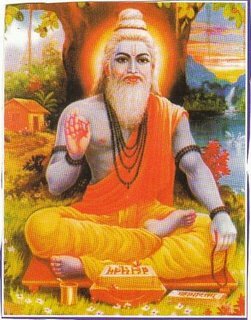 3) The sight of great saints is difficukt even for Devas. 4) Even yogis cannot give up their relations which have been ascertained by the Lord. 5) The gopis offered their minds to the Lord.